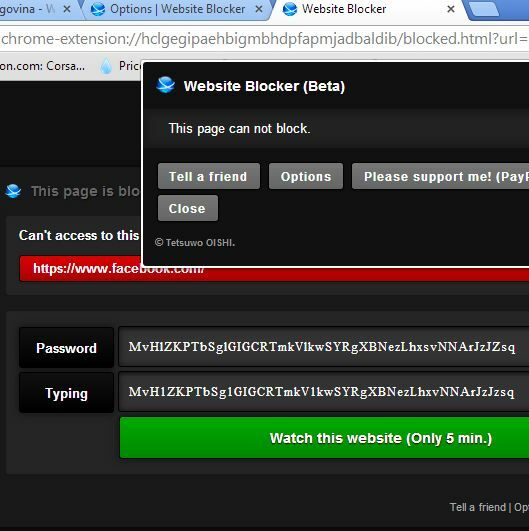 Here’s a list of 5 Google Chrome website blocker extensions which you can use in order to selectively block access to websites of your choosing. Sometimes opening up Facebook, Twitter, Youtube, etc. can put quite a dent in our productivity. Let’s not forget about safety concerns of parents when they are forced to leave their children to browse the web unsupervised. Of course, Parental control software and extensions are best best in such a scenario, but these website blockers also come real handy. With website blocker extensions that we’re gonna be talking about today, you can easily block access to websites in just a few mouse clicks. Website Blocker allows you to block websites depending on what time it is. 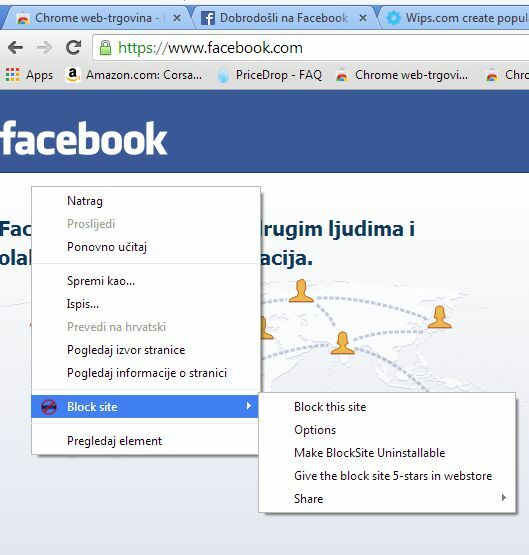 Website blocking can be scheduled, so that for example Facebook is blocked from 8AM until 3PM when you finish work. Each website can have a different time period when it’s being blocked. Various other features are available, like for example, optional overly complicated passwords that you can activate if you want to give yourself the option of accessing the website for a short period of time. The idea behind the passwords is that they discourage you from accessing the website, because they’re really complex, see image above. StayFocusd is another website blocker extension that you can use to block website access in just a few mouse clicks, for a given period of time. Let’s say for example that you have Facebook open and you want to block access to it for the next 10 hours. Left click on the StayFocusd icon, type in the time frame, and click on the Block website button. Alternatively you can activate the “Nuclear Option”, which blocks all websites except the ones on the allowed list. Allowed list can be configured inside the extensions’ settings page. Here’s a very feature rich website blocker that lets you create uninstallable blocks. Uninstallable means that an extra layer of security is gonna be added so that you cannot avoid roadblocks in front of blocked websites put in place by the extension. More advanced settings can be accessed from the settings page. Instead of blocked websites you can put in place a redirect to a different website or you can activate funny messages about being lazy instead. Students are a group of people that suffers the most from procrastination caused by random online browsing. Worry not, the I-AM-STUDYING BLOCKER is here to the rescue, in all caps. Before you turn it on in the top right corner, you should first right click and select Settings to add websites to the blacklist. 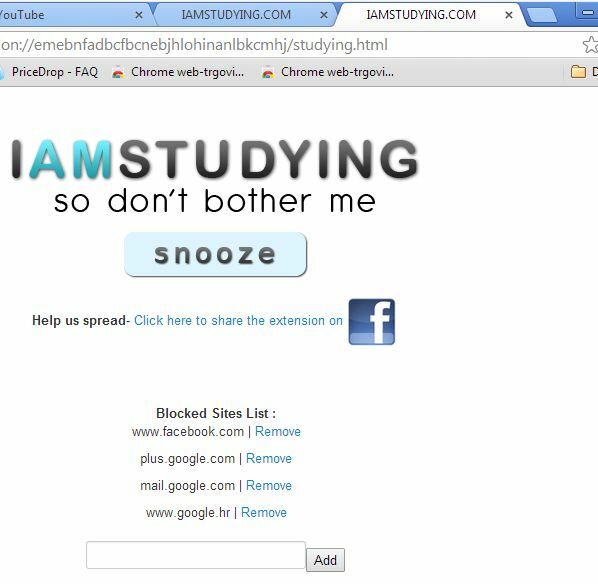 Once that you activate the extension, blocked websites will show the “I Am Studying so don’t bother me” message. Simple Blocker is actually a pretty advanced selective website blocker extension for Chrome that brings to the table a very nice set of features. You get the usual blacklist, with support for entire domain extension blocks, if you want to block all .com domains for example. As an additional layer of security you can password protect extension settings so that only those with the password can change them. 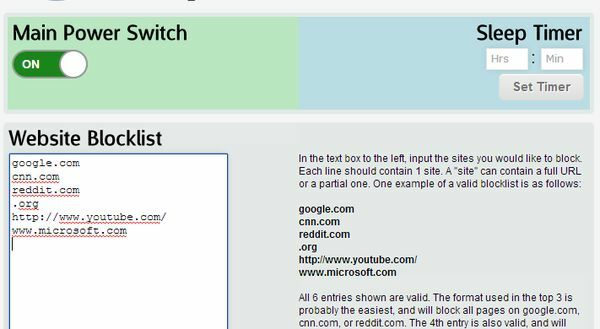 Out of the 5 website blocker extensions that we tested here, we were impressed the most with Simple Blocker and Block Site, although others aren’t that far behind. Try them all and let us know which one works the best for you in the comment section down below.